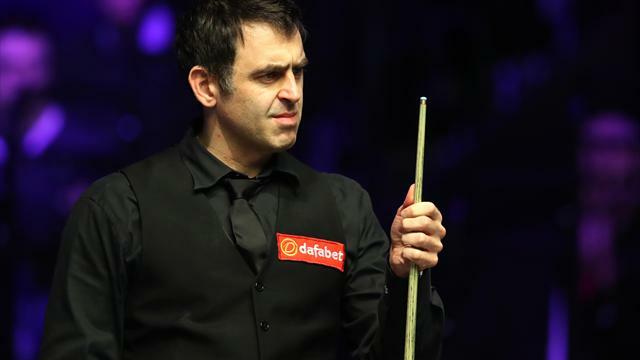 Ronnie O'Sullivan needed little time to blitz past Ding Junhui 10-3 and win the World Grand Prix. He adds the title to his wins in the English Open, Shanghai Masters and UK Championship already this season. O'Sullivan took a 6-3 advantage into the evening session, having built a lead with breaks of 71, 124, 105 and 120 in the afternoon. And he found it straightforward to extend his lead at the restart with breaks of 46 and 44. The 42-year-old had already said earlier in the week that he was more confident of beating Ding than the other semi-finalist, Mark Selby, admitting: "I would rather play Ding because Selby is going to kill me." But he paid tribute to his opponent after the final, saying: "I'm very pleased to win this tournament. I just want to say well done to Ding, he's had a fantastic tournament and he's a great player."